Dexter Story sings in the choir with Kamasi Washington live at the Hollywood Bowl on Wednesday, August 23. Kamasi opens his first solo bowl show for the master Herbie Hancock with live strings, choir and the West Coast Get Down. Continually re-imagining jazz, the ever-ingenious Oscar- and multiple Grammy-winning pianist Herbie Hancock will bring his newest mind-blowing explorations to life with his amazing new band. L.A. native Kamasi Washington’s groundbreaking debut album The Epic and his stunning live performances around the world have brought the legacy of 20th century jazz to a new cohort of millennial hip-hop fans and more. Dexter Story’s “Wejene Aola” 7″ release makes Vinyl Factory’s top 10 list for 2016. An Ethio-funk bomb from Dexter Story, whose cover Tilahun Gessesse’s 1970 ‘Wejene Aola‘ is a homage to the oppressed Oromo people of southern Ethiopia and a testament to just how contemporary the country’s verdant ‘70s music scene still sounds. Taken from the brilliant Wondem album, Story is joined by spiritual jazz messenger Kamasi Washington, who blows a riot all over the new arrangement, his rasping, honking sax proving he can funk with the best of them. The b-side features the only track not to make the vinyl pressing of the LP, the dream-like ‘Eastern Prayer’, a spiritual antidote to the hedonism of ‘Wejene Aola’ carried by the meditational chants of vocalist Nia Andrews. A unique 7” from a label whose consistent reissue output is now being matched by some stellar new music. Dexter Story sings tenor / baritone in the orchestra & choir for Kamasi Washington’s Disney Concert Hall debut on Sunday, November 6, 2016. The show features new orchestral works conducted by Geoff “Double G” Gallegos. The opening ensemble is The Ron McCurdy Quartet performing Ask Your Mama a multimedia performance of Langston Hughes’ kaleidoscopic 12-part jazz poem about the struggle for freedom in the early ’60s. Celebrated for such projects as his ambitious 172-minute masterpiece The Epic, young L.A. jazz giant Kamasi Washington combines influences like Coltrane along with soul, classical, hip-hop and gospel for a decidedly contemporary jazz perspective. Dexter Story drops a new 7″ vinyl single on Soundway Records entitled “Wejene Aola” featuring Kamasi Washington. The song was originally sung by Ethiopian legend Tilahun Gessesse and released on cassette in the 1970’s. Story’s version is in tribute to the resilient Oromo ethnic group and includes “Eastern Prayer” featuring Nia Andrews on the b-side. 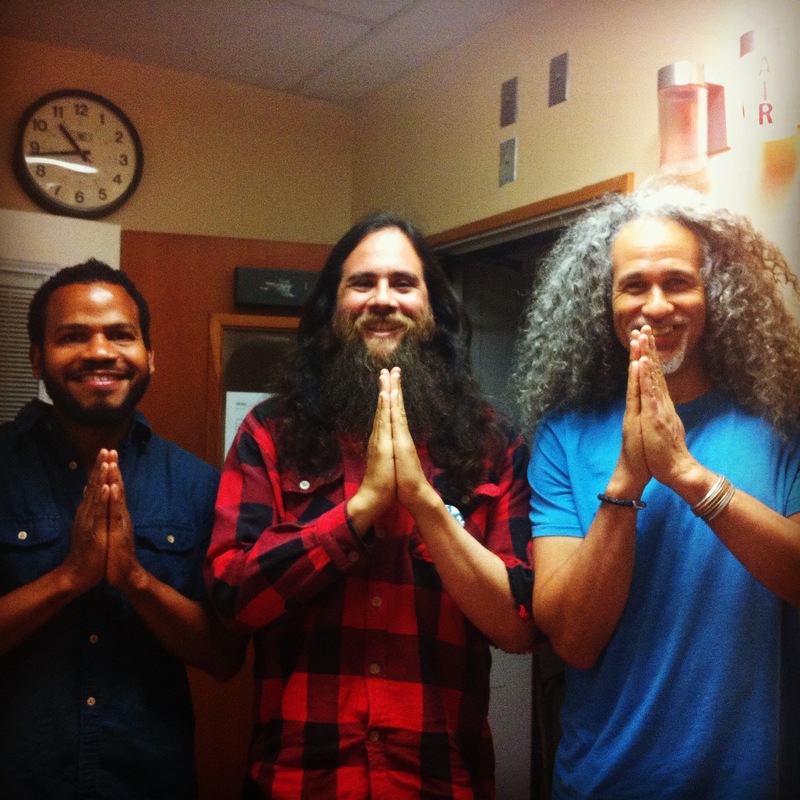 Dexter Story performs on new Carlos Niño album Flutes, Echoes, It’s All Happening! on Leaving Records and first single “It’s Happening!” Slated for release on April 22, the album features Madlib, Kamasi Washington, Flying Lotus collaborator Miguel Atwood-Ferguson and new age legend Iasos. The announcement was made via Pitchfork.com on March 14. Los Angeles producer, composer, and arranger Carlos Niño has announced his new album, Flutes, Echoes, It’s All Happening!. It’s out April 22 via Leaving. 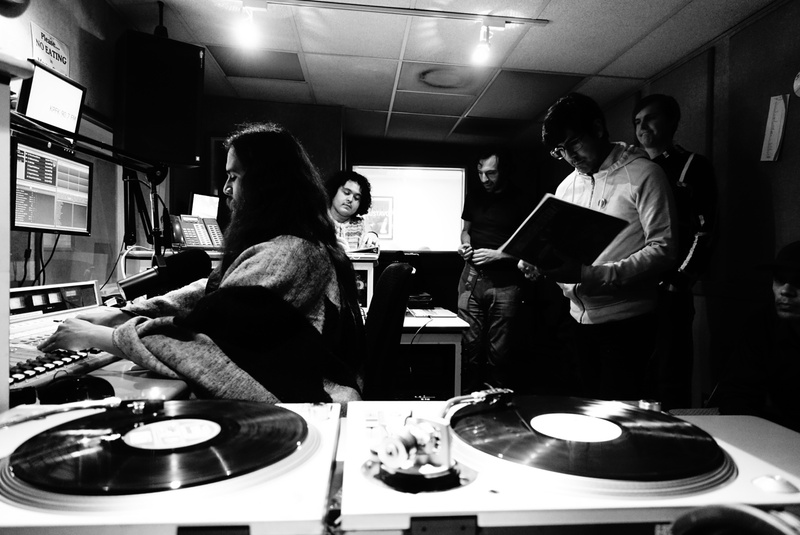 Niño, who hosted the Spaceways Radio Show on L.A.’s KPFK for two decades, is a fixture of the city’s independent music scene. His full-length features Madlib, Kamasi Washington, Iasos, and Miguel Atwood-Ferguson (Flying Lotus, Lana Del Rey, Big Boi), among others. The announcement is accompanied by the single “It’s All Happening!,” which features Madlib, Jamire Williams and Dexter Story, with strings by Atwood-Ferguson. Listen above and find the tracklist below. Playing with Ethio Cali at Joon Lee’s Blue Whale jazz nightclub & gallery on Thursday, August 20. 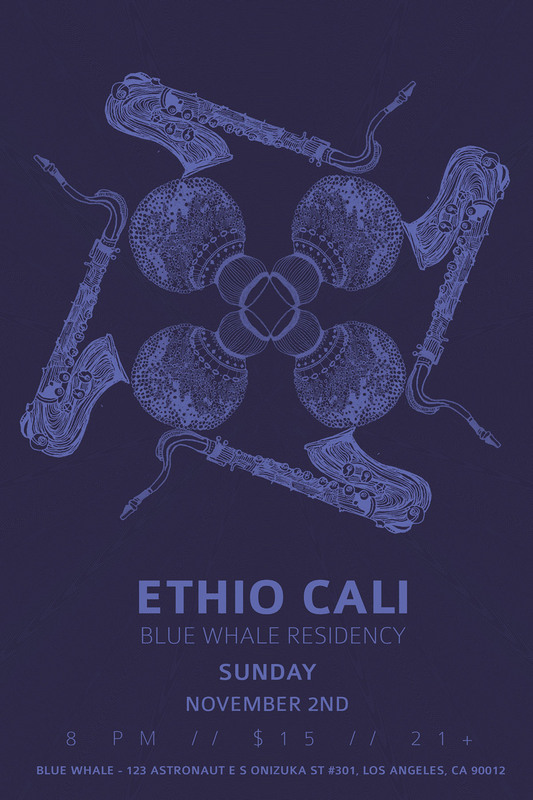 Ethio Cali returns to its favorite venue in Los Angeles for 2 sets of spirited African music.The Blue Whale is Los Angeles’ premiere jazz concert venue and gallery in Little Tokyo, Downtown Los Angeles. 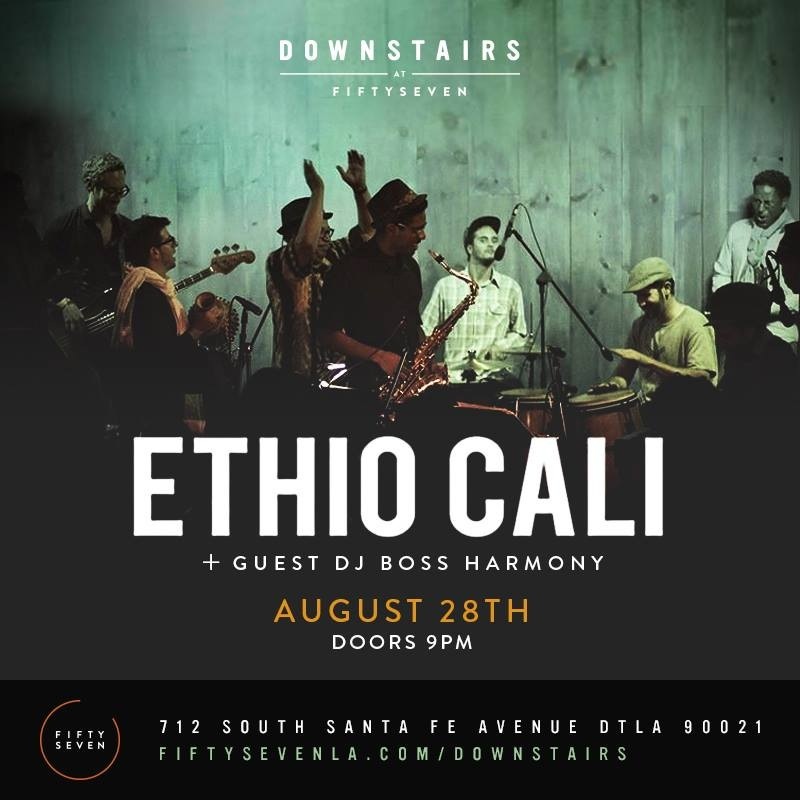 Ethio Cali is a Los Angeles-based Ethio-Jazz ensemble, led by trumpeter, arranger, and composer Todd Simon. 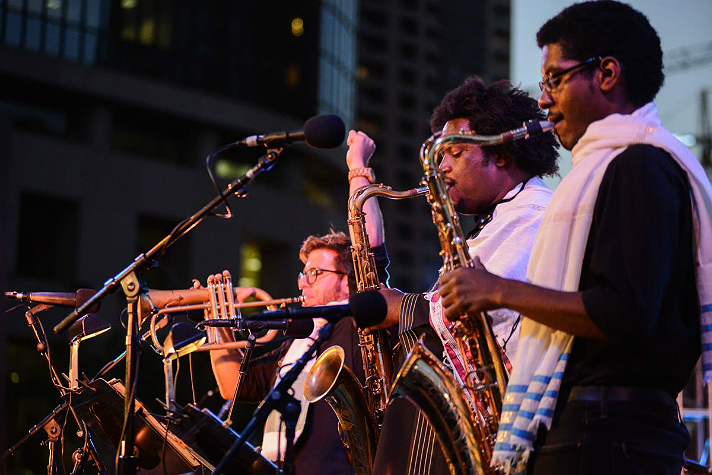 The ensemble’s sublime sound is inspired by the golden age of Ethiopian music of the 1960’s and 70’s, filtered through a lens that is uniquely Los Angeles. Acknowledging the diverse musical foundations of Ethio-Jazz, the ensemble also draws inspiration from the rhythmic and melodic textures of Sudan, Somalia, Ghana, and Colombia.. 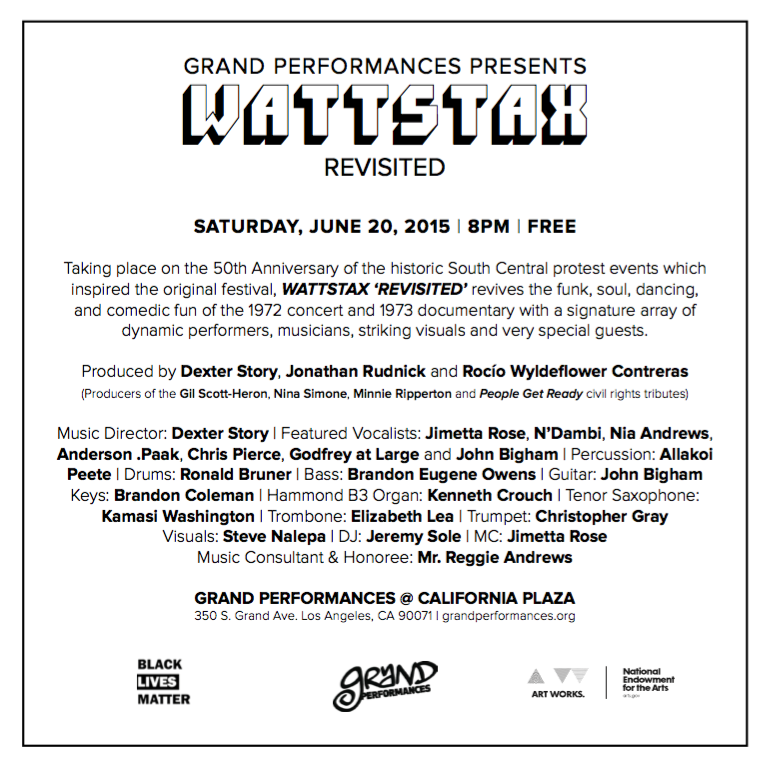 Co-produced Kamasi Washington’s acclaimed event 65 to 92: The Rhythm Changes but The Struggle Remains at Grand Performances on Saturday, July 25, 2015. 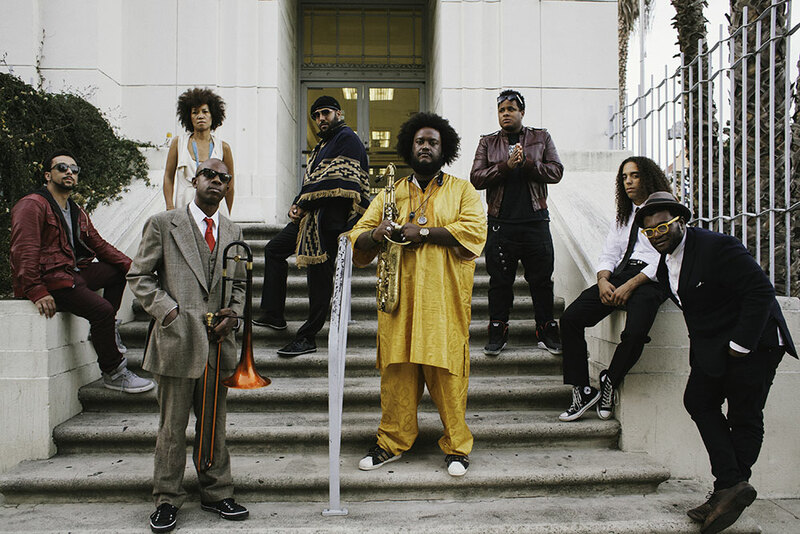 Kamasi Washington makes the 1965 and 1992 socio-political conversations musical using the potent jazz and hip hop voices of Ornette Coleman, Charles Mingus, Billy Higgins, 2Pac, Snoop, and Cypress Hill. Two bands. Two musical eras. One ongoing struggle. This event is part of our LOS ANGELES AFTERSHOCKS series, which focuses on the cultural aftershocks of the pivotal events in 1965 and 1992, and exemplifies how music, dialogue, and community celebration help us address racism in our city and nation. This series is supported by the National Endowment for the Arts and Sony Pictures Entertainment. 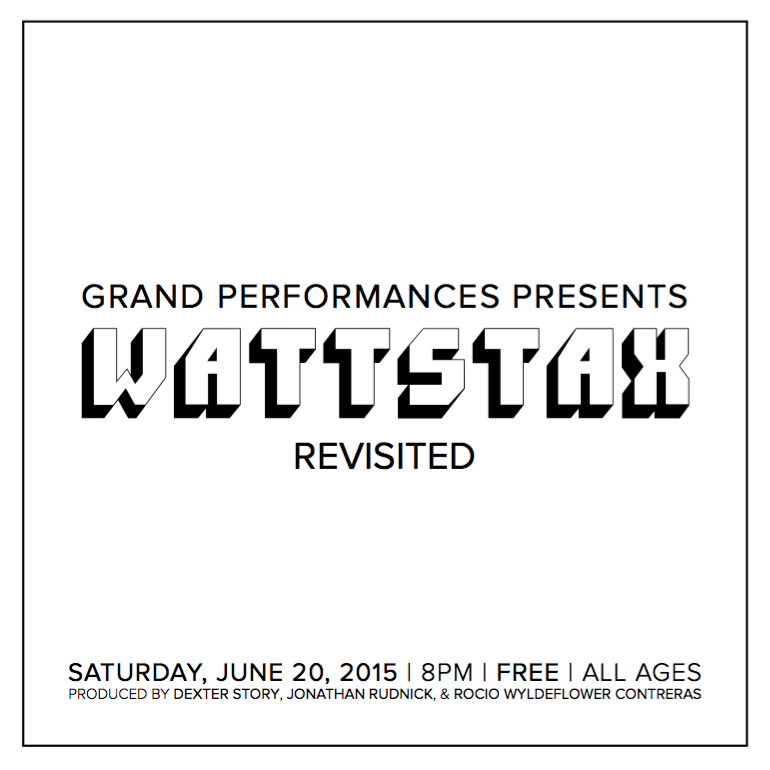 This series presented in partnership with KPCC. Commentary: This is a post-event post. I had the privilege of working with Kamasi Washington, Leigh Ann Hahn, Banch Abegaze, Janice Wong and Sonny Abegaze to bring Kamasi Washington and ensemble to the Grand Performances stage on Saturday, July 25th. Kamasi is on his way to becoming the international icon he deserves to be. I was amazed at how each of the musicians brought their AAA game to the offering. I am grateful to have been a part of it and look forward to working with Kamasi and crew again soon. Don’t miss Kamasi Washington and The West Coast Get Down on their upcoming domestic and international tour. Playing drum set with The Cosmic Band Connection in support of Carlos Niño’s last Spaceways Radio broadcast on 90.7 KPFK. The broadcast is 10p to 12a on Sunday, March 22, 2015. This will mark 20 Years of Volunteer Programming at KPFK for me. and LOVE! Wow! Thank you so much for the magical journey! 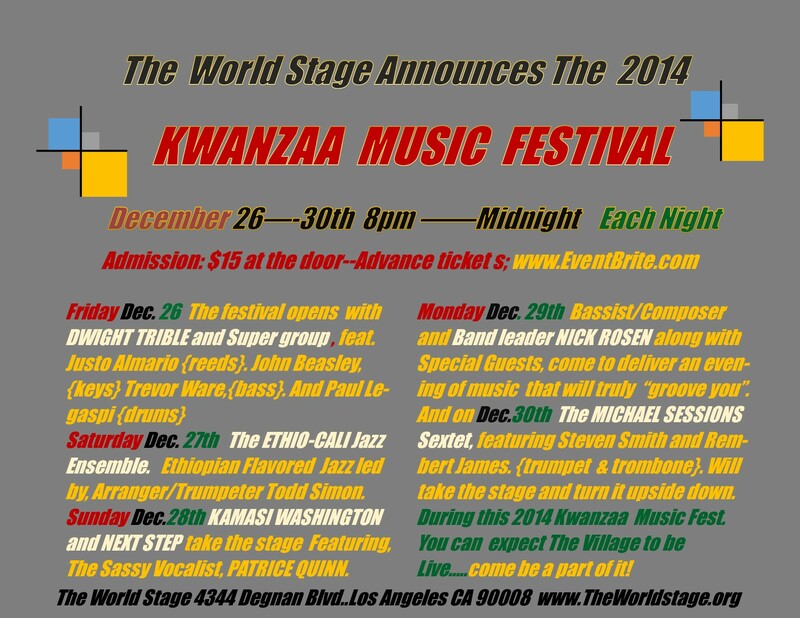 Playing multiple instruments with Ethio Cali at the World Stage’s 2014 Kwanzaa Music Festival on Saturday, December 27. Ethio Cali will play a variety of songs from their 2014 repertoire honoring the spirit of the World Stage. 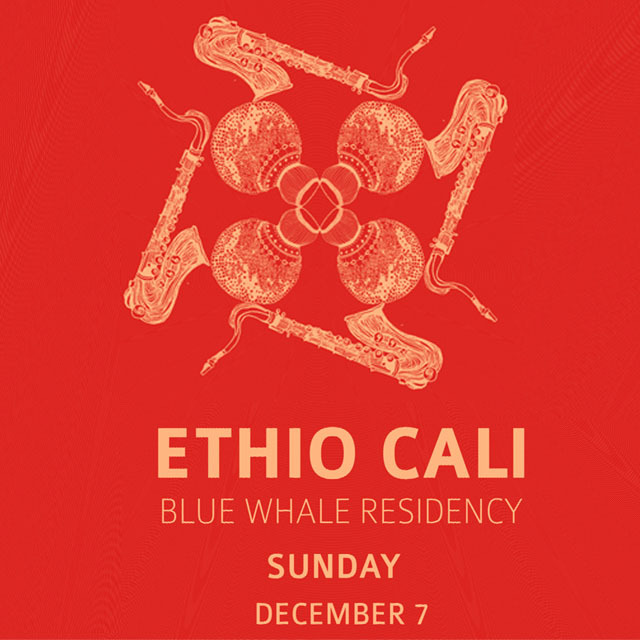 Playing drum set with Ethio Cali for the third and last in the Blue Whale 2014 residency on Sunday, December 7. Repertoire includes songs from icons Horace Parlan, Sun Ra and Ornette Coleman to Hugh Masekela, Segun Bucknor and Charles Mingus. Commentary: This is a late calendar entry but I want to stress how amazing this show was to play. Todd Simon masterfully arranged the bulk of the spiritual jazz repertoire and lifted our spirits. The highlight for me was performing a challenging Charles Mingus tune. Playing aux keys, guitar and arranging with Ethio Cali live at Blue Whale playing the nostalgic Tezeta music of Ethiopia on Sunday, November 2. 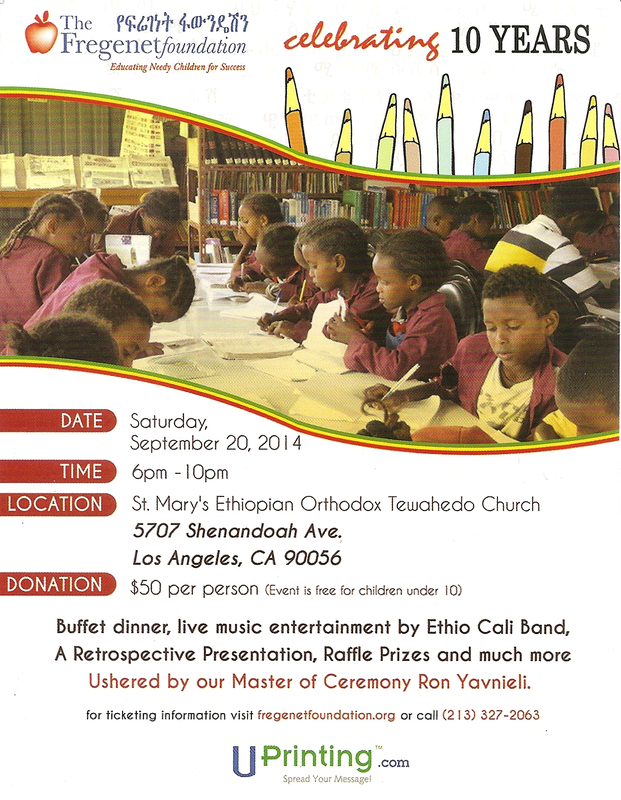 Ethio Cali performs a set in support of the 10th Anniversary of The Fregenet Foundation at one of Los Angeles’ main Tewahedo churches on Saturday, September 20. The Fregenet Foundation’s founder is Tafesse Woubshet who created a free kindergarten to 4th grade school 10 years ago in Addis Ababa, Ethiopia. The school was the vision of Mr. Woubshet’s daughter Fregenet who was killed in an automobile accident 3 months after graduating from college. 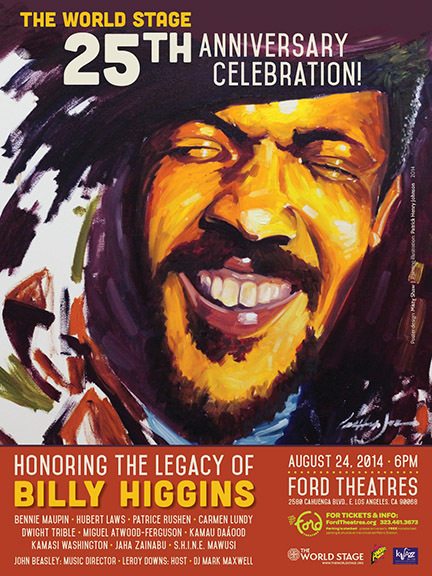 Co-producing the 2nd annual concert benefitting the World Stage performance space in Leimert Park at The Ford Theatre on Sunday, August 24. 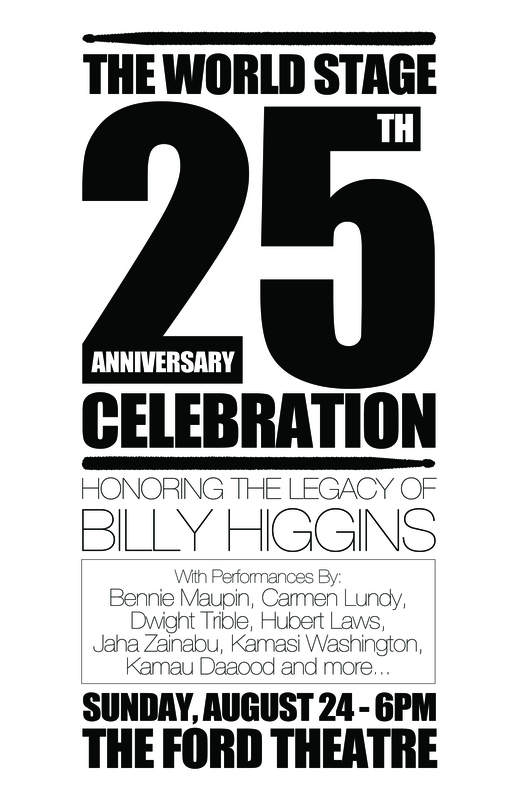 This year’s concert is The World Stage 25th Anniversary Celebration: Honoring The Legacy of Billy Higgins and features performances by woodwind master Bennie Maupin, vocalist diva Carmen Lundy, pianist icon Patrice Rushen, the inimitable Dwight Trible, poet laureates Kamau Daaood and Jaha Zainabu, colossal saxophone talent Kamasi Washington and international recording artist and icon Hubert Laws. KKJZ is the official sponsor of the event.